​The goals of the Development & Education Program are to recruit, educate, and develop officials at all levels within MIHOA. Try Reffing for Free sessions: Recruiting new officials through an introduction to officiating requirements and on-ice training. Supervisor selection, training, and scheduling: Creating a supervision staff, training the staff in the changes of expectations and procedures, and scheduling the staff to supervise games at all levels. Officials’ Retraining Program: Assessing issues of concerning on-ice calls and behaviors of officials that do not fall under the MIHOA Disciplinary Committee’s umbrella, and educate officials regarding individual situations. Player Recruitment Program: Meeting with higher level teams (High School, Midget AAA, Junior, College) to speak with them about opportunities in officiating. 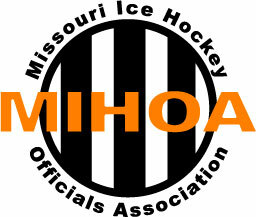 Officiating Advancement Program: Promoting officials to higher level games within MIHOA and USA Hockey based on supervisor feedback, rule knowledge, officiating skills, and desire to succeed. Equipment Loan Program: provides equipment for new level 1 officials who are under 18 years old. Seminar Reimbursement Program: reimburses youth-aged level 1 and level 2 officials for their seminar registration fee.